​Junior Fellow, You can Make a Difference! The Renewable Nations Institute at the Presidio. The proposed Renewable Nations Insitute at The Presidio will operate a Sustainable Energy for ALL (SEforALL) Project Accelerater Hub in collaboration with public and private sector partners. 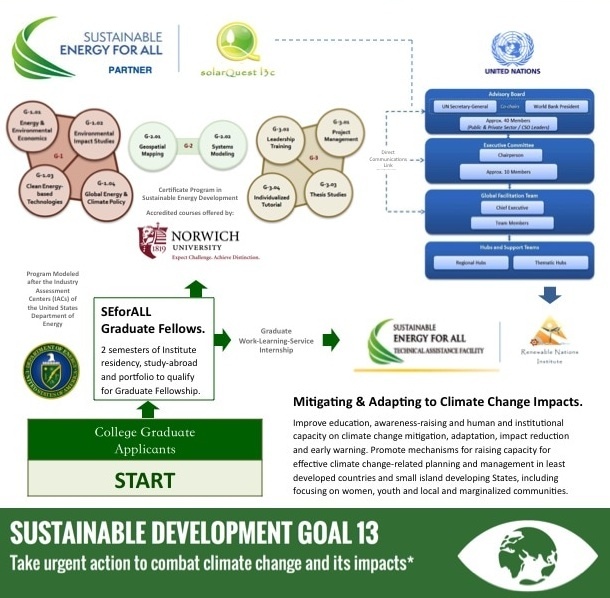 The SEforALL Project Accelerator Hub will provide undergrade and graduate-level Work-Learning-Service internship opportunities to develop and manage investment grade proposals and projects under the SEforALL Initiative and the U.S. Partnership for SEforALL in compliance the objectives of the Paris Agreement to commit USD 100 billion annually in new investments in energy efficiency and renewable energy project through 2030.